Win a Kindle Fire for FREE this Summer! Home/Archive Storage, Blog, Confidential Destruction Services/Win a Kindle Fire for FREE this Summer! The Summer Holidays are fast approaching and we are even experiencing some sunshine and warm temperatures for a change!!! To celebrate it being summertime we are giving away a Kindle Fire for FREE! So whatever you are doing this Summer; whether it is a relaxing in your garden at home, camping or maybe even glamping, or if you’re off to an adventurous exotic beach in Timbuktu why not try and take the ultimate holiday accessory with you…. a Kindle Fire! 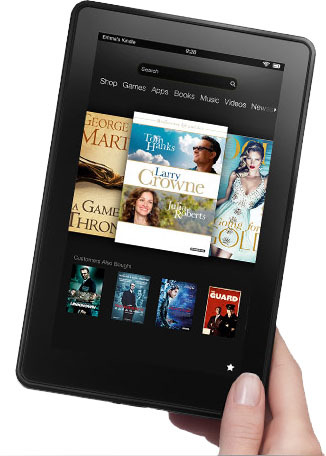 The Kindle Fire is the tablet created by Amazon. So whether you want to read an ebook by the pool, play on your favourite app on the plane or surf the web in your caravan it is ideal to keep you occupied this summer! All you have to do for your chance to win is fill out our easy online form. Just click here to fill out your details for us to contact you on if you’re our lucky winner! We will also be announcing the lucky winner on our Facebook and Twitter accounts so make sure you like DataSpace UK on Facebook by clicking here and follow us on Twitter by clicking here @DataSpaceUK. Remember you have to be in it to win it! Call DataSpace today for more details or to find out how our professional Document Management services could help you 0800 028 8956.